(Online Interactions Not Rated by the ESRB) The Games on Demand version supports English, French, Italian, German, Spanish. When a man’s battles have been won and his enemies destroyed, what then? Where does he find purpose and meaning? To find answers to these questions, Ezio Auditore will travel east in search of the lost library of the Assassins. 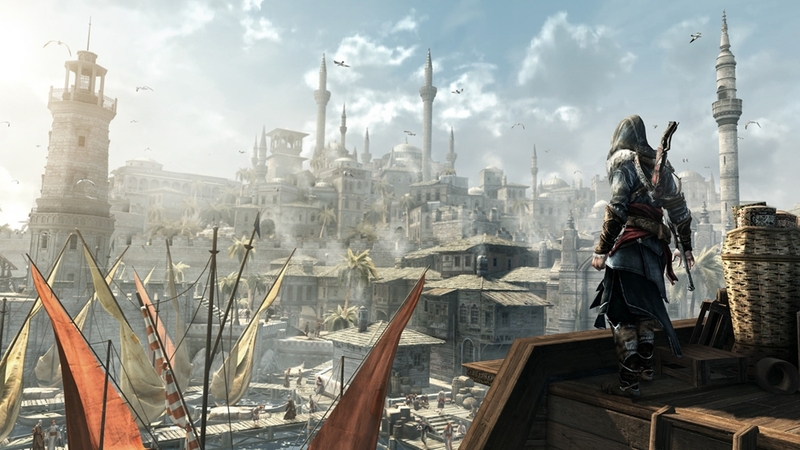 In Assassin’s Creed® Revelations, master assassin Ezio Auditore walks in the footsteps of the legendary mentor Altair, on a journey of discovery and revelation. 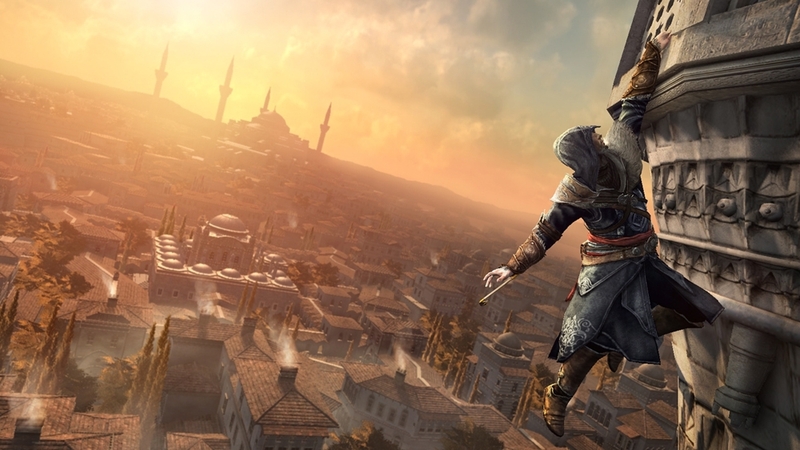 It is a perilous path – one that will take Ezio to Constantinople, the heart of the Ottoman Empire, where a growing army of Templars threatens to destabilize the region. In addition to Ezio’s award-winning story, a refined and expanded online multiplayer experience returns with more modes, more maps and more characters, allowing you to test your assassin skills against others from around the world. Some guards go looking for trouble... The Byzantine Paranoid checks every haystack, bench, and hiding spot, itching for a fight! Outfit your Xbox LIVE® Avatar as the Byzantine Paranoid from Assassin’s Creed® Revelations, and let your friends know there’s nowhere to hide. Quick as a cat and just as nimble. Don’t be fooled by the Ottoman Jester’s charming grin… behind the mask lurks a monster. Outfit your Xbox LIVE® Avatar with the Ottoman Jester costume and charm the life (literally) out of your friends in Assassin’s Creed® Revelations multiplayer. With age comes wisdom. Don the robes of the venerable Altaïr and relive the memories of this master assassin in Assassin’s Creed® Revelations! From Assassin’s Creed® Revelations: Outfit your Xbox LIVE® Avatar with the armor of the Ottoman Leader and pay homage to the powerful Ottoman Empire that reigned over the Mediterranean for over 600 years! Like a plague-carrying rat but far more vicious, the Ottoman Doctor has a nasty habit of leaving corpses behind him everywhere he goes. Outfit your Xbox LIVE® Avatar as the Ottoman Doctor from Assassin’s Creed® Revelations, and spread a little death! Outfit your Xbox LIVE® Avatar with the Armor of Brutus, a rugged armor wrought of leather, steel, and wool. The Armor of Brutus was originally worn by Marcus Junius Brutus, the assassin responsible for the death of Julius Caesar! 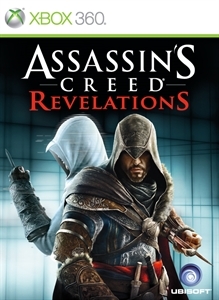 Only from Assassin’s Creed® Revelations. A traitor to the Assassins, the Crusader converts disbelievers to his faith – with violent force, often dispatching new converts immediately to heaven. Outfit your Xbox LIVE® Avatar in the Crusader’s armor from Assassin’s Creed® Revelations multiplayer. Like a plague-carrying rat but far more vicious, the Ottoman Doctor has a nasty habit of leaving corpses behind her everywhere she goes. 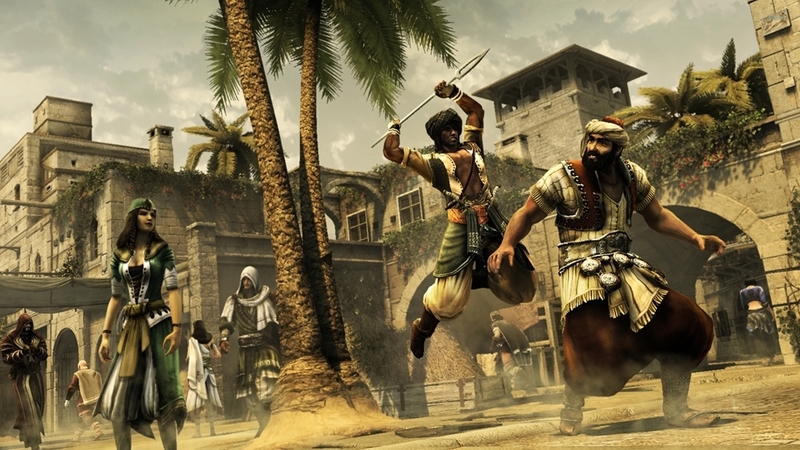 Outfit your Xbox LIVE® Avatar as the Ottoman Doctor from Assassin’s Creed® Revelations, and spread a little death! With the Ottoman Assassin crest emblazoned across your chest, no one will question where your allegiance lies. Wear it proudly, assassin! Having amassed her vast fortune trading in both relics and secrets, there are few prizes that can elude the grasp of the opportunistic Brigand. Outfit your avatar in the Brigand’s costume and play as the Brigand in Assassin’s Creed Revelations multiplayer. Show the world what team you really play for by outfitting your avatar with the Ottoman Assassin Crest baseball cap, only from Assassin’s Creed Revelations. Beware the siren song of the Corsair! Her beauty masks a cruel heart, a murderous will and a taste for ill-gotten goods. 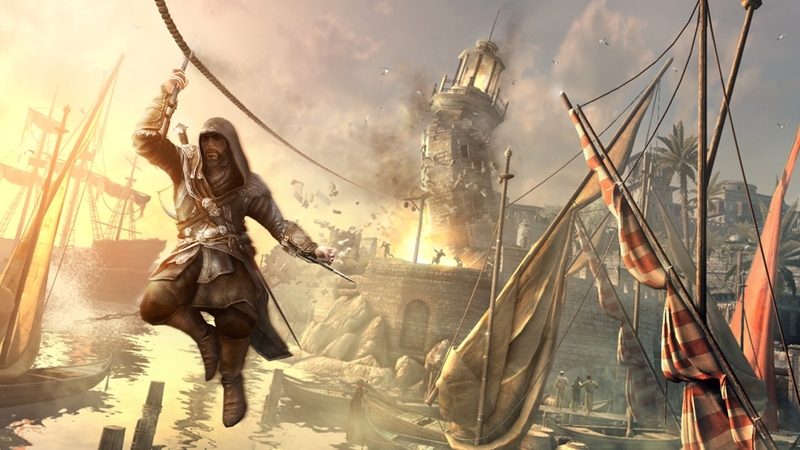 Adorn your avatar in the Corsair’s clothes and play as the Corsair in Assassin’s Creed Revelations multiplayer. A man who became legend: the Wallachian lord Vlad Tepes Dracula was so well-known for his horrifying brutality that his name became synonymous with a monster. Outfit your avatar in the Count’s costume and watch as other avatars cower in fear!